Our heating systems work on the same principle as the warmth produced by the sun. Our technology is completely "Green" and has health benefits! Use of anion and far infrared rays has been shown to have positive effects on health. By having our system installed under your floors, you will experience warmth which could never be achieved by heating and blowing air systems. Arkon Heating Systems is a proudly Canadian owned and operated company based in Richmond Hill, Ontario, Canada. 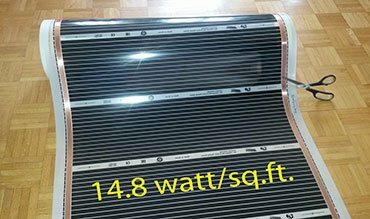 We specialize in providing affordable heating solutions based on far-infrared technology, including in-floor heating through the use of carbon heating film. Here, at Arkon Heating, we make the future available today! Infrared heating works specially for “ home heating” by directly heating walls, floors, objects, like a human body, located near the heating source, instead of heating the empty air. IS HEATING TEXTILE YOUR CHOICE? Arkon Heating is thrilled about our partnership with German based HeizTex GmbH. 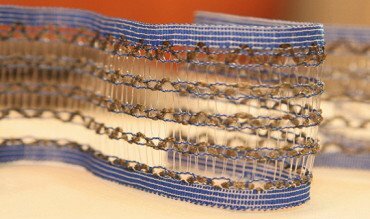 We are collaborating on innovative electric Heating Textile projects. The products we jointly offer can help our clients gain a significant market advantage in traditional application areas of the electrical panel heating and “heating element” as well as explore new markets and areas of application that are not available with traditional technical solutions. 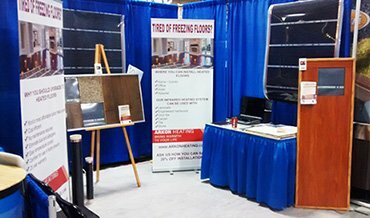 Are you tired of cold floors? 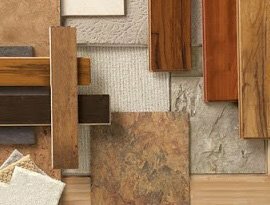 By having the in floor heating system installed under your floors, you will experience a much more pleasant sensation of being warm that could never be achieved by heating and blowing air. This type of heat does not escape through windows and doors because it remains close to the objects which have absorbed the heat. This reduces the heat loss from the room. Thus, significant energy savings can be achieved compared to using conventional heating methods. Are you wasting money heating empty spaces? Looking for cleaner, healthier way to heat your home? Far infrared heating technology eliminates the circulation of dust, pollen and other allergens in the air. This is an ideal heating method for maintaining a healthy environment in your home.